Ahead of the wider European release of the Microsoft Surface Go, we’ve rounded up a collection of reviews, thoughts and opinions from some of the most popular online tech experts below. 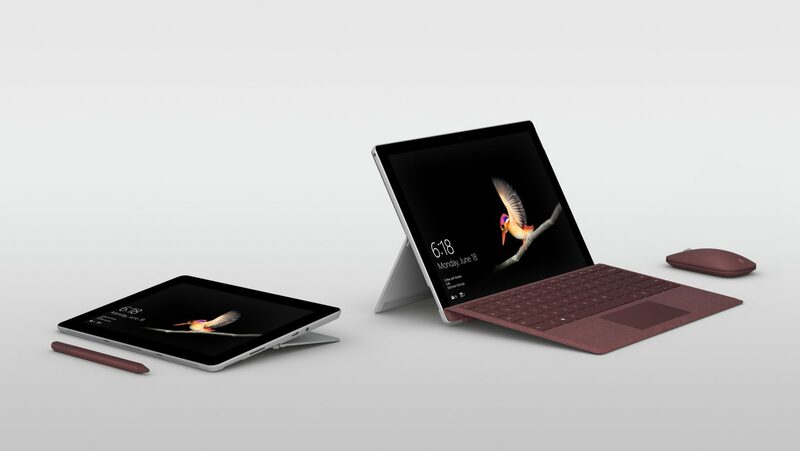 Feel free to click on through to the full reviews for in-depth conclusions, and check out the Surface Go European pre-order page for more information on release dates and pricing in your country. Overall thoughts: “People who want a cheap computer would get a Chromebook or iPad, people who want a good PC for around $700 would find a full-sized laptop. Those assumptions are not entirely wrong. But the wrong assumption I made is that the Surface Go fits into either of those categories. Instead, it’s exactly what it claims to be: a small Surface. Something about using it just engenders affinity, I enjoyed using this computer every day and was continually impressed at how well it multitasked. Sure, it commands a more expensive asking price, but in return gives you a better experience. Design: “It feels akin to carrying around a modest 200-page hardcover book. That weight is evenly balanced, and there are no creaks or weak points to speak of for the chassis. Type Cover: “…Microsoft delivered another killer Type Cover. The smaller form factor takes a bit of getting used to, but it wasn’t long before my fingers were flying across the keys. Touch typists will appreciate how Microsoft shrunk down the standard keyboard layout, and there’s a slight curve along the keys to guide your fingers to them. Experience: “What you see here is what should have been the core conceit of every small Windows tablet since the beginning: everything you love about the Surface Pro tablet, only smaller. Windows Hello: “…We especially appreciate facial recognition login via Windows Hello. While it doesn’t operate in the same way, Microsoft has essentially beat Apple to bringing hands-free, secure login to its tablet. Windows Store apps: “I tried getting by with only grabbing apps from the store. You know what? I was pleasantly surprised at how far the app selection has come.